The MOTA SmartWatch G1 have just received an interesting update, including support for Google Now and Siri. The new device, called G2, is already available for pre-order for $ 79.99. This new version presents a very interesting feature: it is compatible with both Google Now and Siri, so it can interact with iOS and Android smartphones with voice commands. However, the negative point is that it doesn’t supports Bluetooth 4.0, so it only connects via Bluetooth 3.0. The new MOTA Smart Watch connects to android or iOS smartphones and can perform several actions without requiring touching the phone. From the watch, we can answer incoming calls, receive notifications, and respond to emails and sms directly from smartwatch, thanks to voice recognition feature, compatible with both Google Now and Siri. Similarly, we can check the weather forecast and even surf the web. 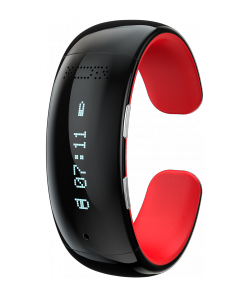 The MOTA SmartWatch G2 includes speakers and microphone, and a 0.88 inch OLED screen with 128 x 32 points resolution. When we received a call, it vibrates to alert us and we can see the contact name on the screen if it is on our contact list. Otherwise, we can see the full phone number. It has two physical buttons on the side that will allow us to answer an incomming call, hang up and even redial the last number we have called from the smartphone. The same buttons also activate and deactivate voice commands for both iOS and Android, while in case of listening to music, they will control the volume. The design is one of its strengths, with a simple and elegant style created to be comfortable for everyday use. It is available in two sizes, with a diameter of 7 inches and 7.5 inches respectively. The battery lasts 72 hours on standby, 3 hours talking and it takes 2 hours to fully recharge via microUSB. 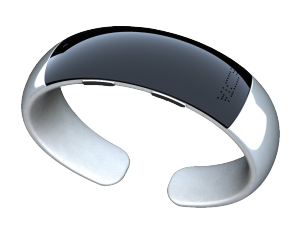 We can also play the music we have on our phone, thanks to the connection via Bluetooth, and we can control the player from the smart watch. It is available in black, red and white, and the first devices will be sent starting on June 20th. The price is one of its strengths, but the lack of compatibility with Bluetooth 4.0 and the short battery life can make some people think twice before purchasing this device. However, for about $ 80, it’s a good option to consider if the above is not a top priority.